Meeting every Friday evening from 6.30pm until 9pm, at present meeting at the Sainsburys Cafe, where there is ample car parking facilities. This group is now well established but will always welcome new members who have a reasonable knowledge of the game and wish to improve. 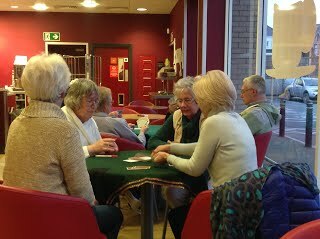 This group has become very popular, meeting at the Lanherne, Edgcumbe Avenue at 2pm, every Wednesday afternoon. 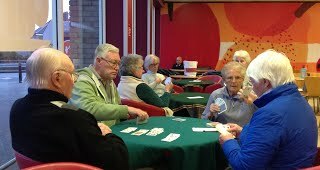 If you are a complete beginner to the game of Bridge, Shirley is offering to teach the basics to those members who are interested in having fun while they learn. It will be very helpful if other members who have some knowledge of the game can come along and give encouragement to those who may have difficulty understanding the basics.